As the wonderfully retro Tadami Line train winds between forests and bridges over deep river valleys, it is quite clear that we are in for something special. Deep within the mountains of the Okuaizu area of Fukushima Prefecture lies the village of Mishima. As the village’s central street is lined with story book-worthy Japanese houses, all dark wood and thick white plaster, it is unsurprising that the village was selected as one of the “Most Beautiful Villages in Japan” in 2012. Strolling by the homes, tiny shops and workshop windows, one finds many beautiful baskets and unusually shaped tools on display. This quaint mountain village happens to be home to generations of expert amikumi zaiku crafters. 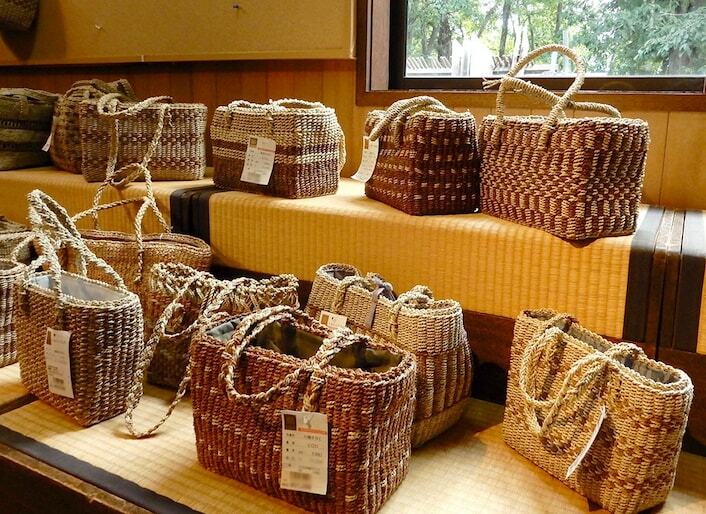 True amikumi zaiku crafts are handwoven from local plants, each taking anything from one week to several months to complete. 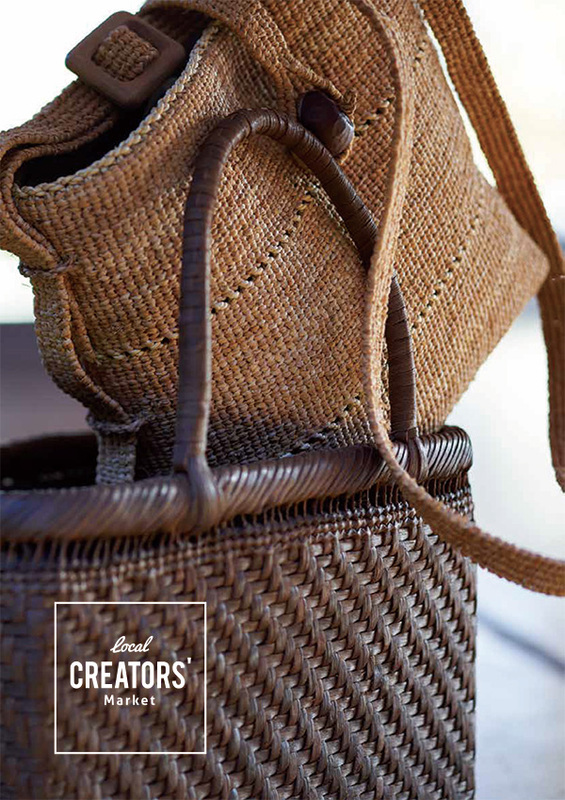 But it is not just creating the beautiful baskets, bags and popular rice rinsers that is time consuming. A deep connection with nature and the seasons is at the heart of amikumi zaiku. The materials they need for their work grow wild, which means crafters often have just a few weeks per year to gather their stock. The grasses and vines used are usually weeds or parasitic plants, so this ecofriendly craft is a way to make these useless (or even potentially harmful) plants into something beautiful and functional. 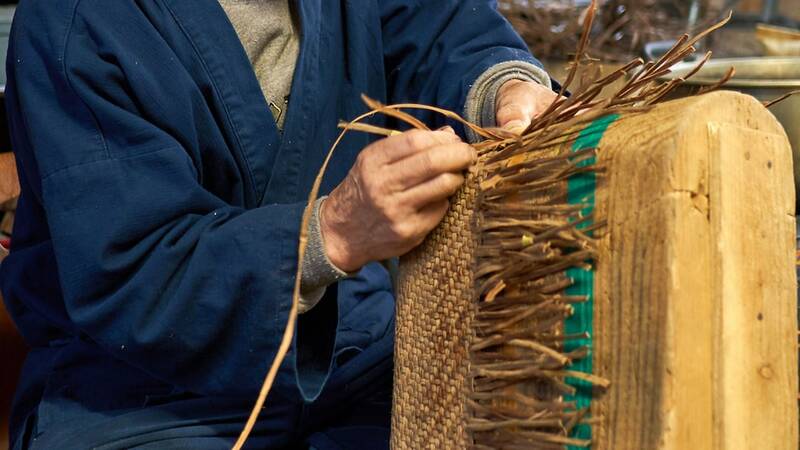 The craftsmen use materials like yamabudo (crimson glory vine) bark or matatabi, silver vine. Another is hiroro (sedge grass) which is hand rolled into thin ropes that are then woven with the bark of mowada, Japanese lime. Tough and sturdy without being bulky, baskets and bags made from these materials can be used for decades and slowly gain a lovely patina. 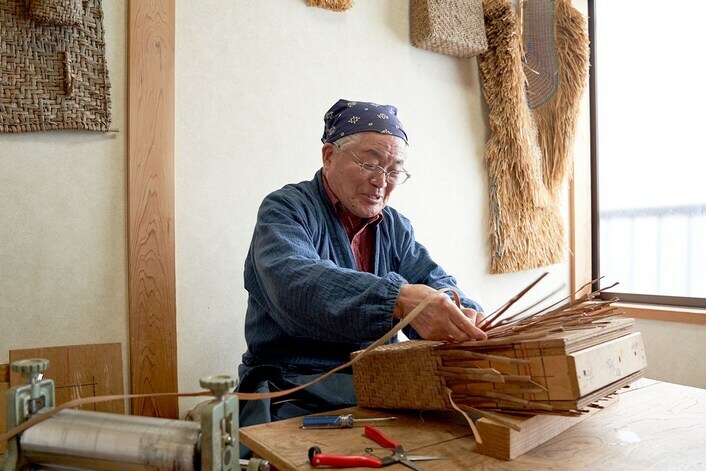 Yamabudo specialist Motoshige Aoki’s hands never stop as he explains the history behind the ancient craft, which he picked up twenty years ago after retiring from his job as a school principal. 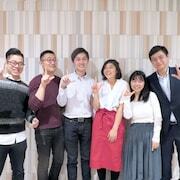 “Amikumi zaiku did not just originate as something to do during the cold winters, but as a way to make containers, bags and tools necessary for day to day life. Now you can find what you need in a store, but until not so long ago people had to make use of the materials they had at hand,” he notes as he finishes another row on the simple, elegant bag taking shape before him. Most of the craftsmen and women work at home, keeping warm by potbellied wood stoves as their hands move rhythmically: weaving, binding or rolling thin ropes at top speed. 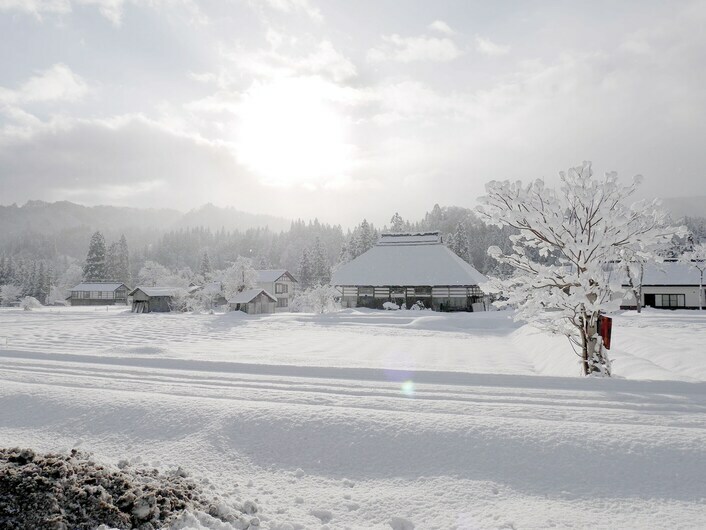 Tomeko Funaki lives in the Magata district of Mishima, the remotest part of the village, deeply covered in snow. 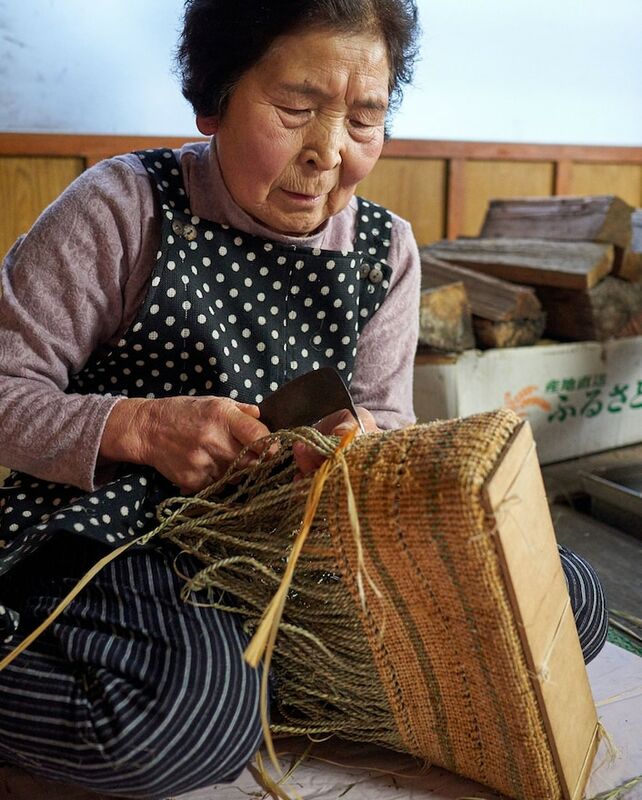 With fifty years of experience, she is a sought-after hiroro artisan, and has taught workshops around Japan. She became more active in the craft a few years after her husband, who was also an amikumi zaiku craftsman, passed away. Her bags, made from hiroro rope and mowada, are particularly popular. She is known for adding thoughtful touches, like a small pouch attached to the exterior where you can put keys or other small, easily misplaced items. 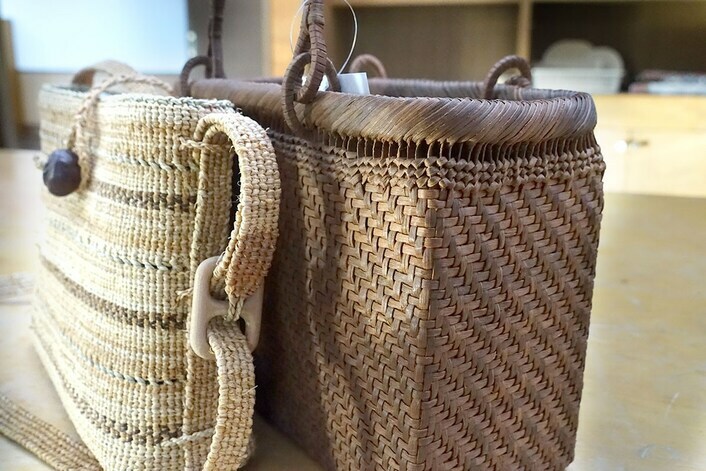 Tomeko makes each bag to order, using different weaving techniques to create unique pieces of art for her clients. 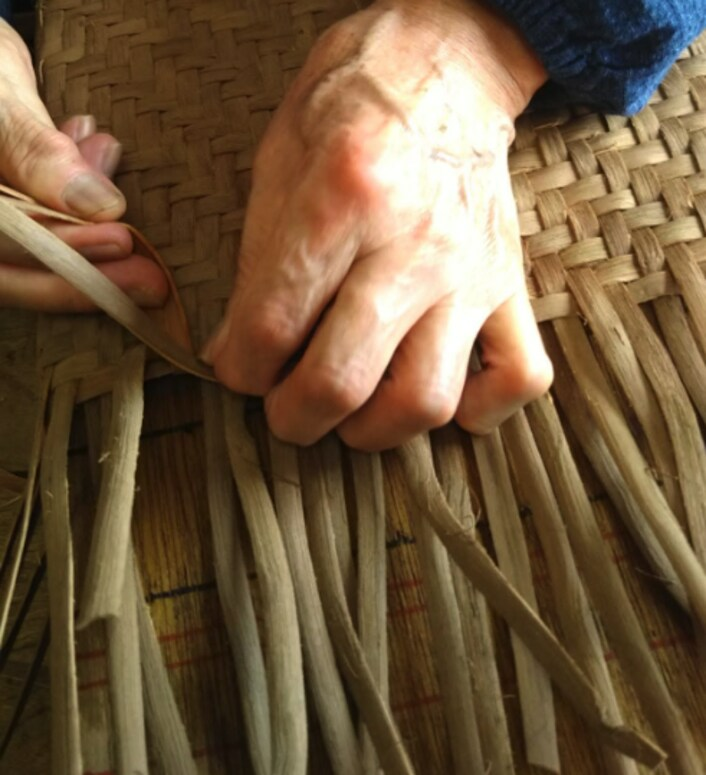 “When weaving I think about the person who will use it, and making sure that he or she is pleased with the finished product,” she says with a broad smile, never ceasing to roll the long, thin ropes of sedge grass that make the skeleton of her crafts. Sitting around her glowing stove and breathing in the sweet smell of the hiroro, we chat about her family and work as she urges us to try some of her delicious homemade takuan pickles. In this timeless space, I understand how in this mountain town these crafts were not just about making goods, but creating community and a space to chat and laugh together. 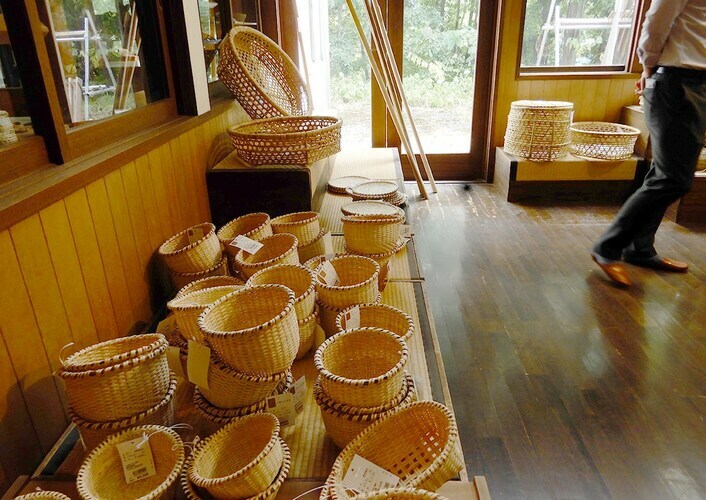 Mishima takes great pride in their traditional crafts, and since 1986 the Seikatsu Kougeikan (Mishima Town Local Crafts Museum) has been a place for aspiring craftsmen to learn traditional skills and a showcase of the region’s craft heritage. It is also a great spot to purchase gorgeous handmade goods. 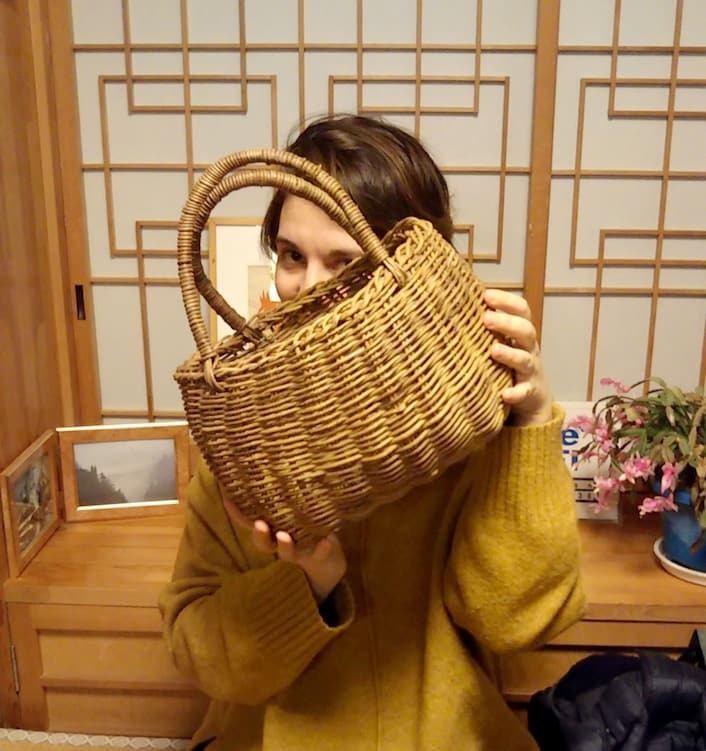 From huge baskets that look like they could hold a whole crop of the areas’ famous pumpkins to tiny, delicately-woven business card cases, the full creativity of Mishima’s artists is on display. Each piece is light yet decidedly sturdy, a wonderful change from the cheap-and-cheerful goods we see so often see on shop shelves. 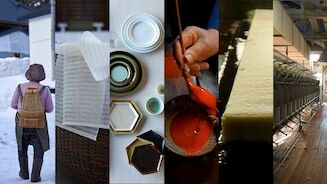 Perfectly smoothed and burnished, it is clear that all of Mishima’s amikumi zaiku crafts are a labor of love and dearly beloved tradition. 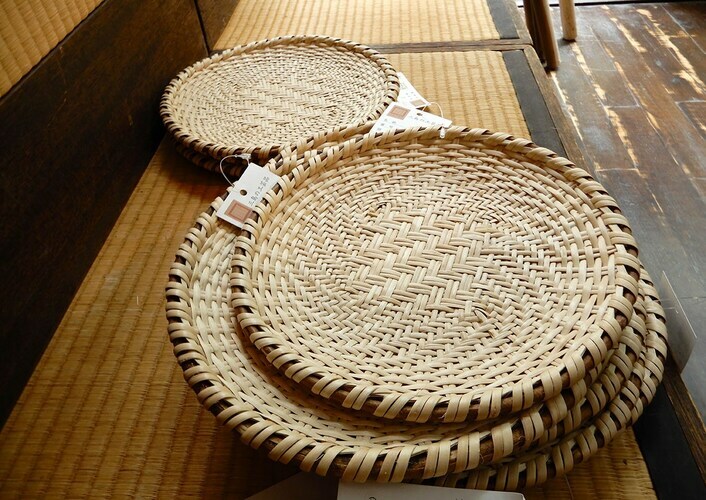 Deep in snow country, where the Tadami River ows, lies a town where handmade basketry is just one secret behind a community-wide joie de vivre. These are selected Videos dedicated to this year by editorial team! 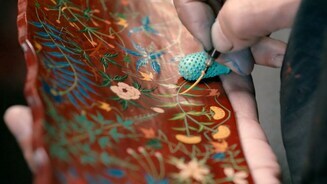 The creation of traditional Japanese lacquerware is a beautiful and detailed process. (c) Local-Creators-Market.com - All rights reserved.